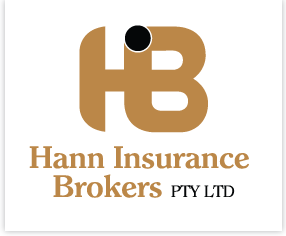 At Hann Insurance Brokers Pty Limited, we intend to make you feel totally at ease with the services we offer. In doing so we are providing you with this easy-to-understand Financial Services Guide. It is designed to answer your frequently asked questions. If you’d like more information or clarification, please don’t hesitate to contact us. Our Financial Services Guide is designed to assist you in deciding whether or not to use any of the services offered in the Guide. It contains information about remuneration paid in relation to the services offered and what to do if you have a complaint about our services. Should you proceed to deal with us you may also be provided with other documentation including Statements of Advice, Product Disclosure Documents or other regulated documents. If you have not been provided with these documents, and think that they should have been provided, please contact us on (02) 4952 1777 and we shall endeavour to provide them to you. 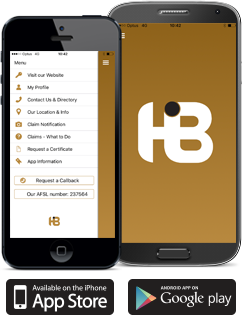 Hann Insurance Brokers Pty Limited is an Australian Financial Services Licensee under the Corporations Act. We are authorised to arrange and advise on a range of general insurance products. We are a well-known and long established general insurance broker with a reputation for professionalism and a commitment to understanding our client’s insurance needs, concerns and issues. Hann Insurance Brokers Pty Limited commenced trading in 1975 when Bob Hann, who already had some 19 years insurance experience, including Branch and State Manager positions, opened an office with his wife Pat. The company was incorporated in 1976, providing specialist insurance services primarily to the transport industry. Over the years, our portfolio has expanded to embrace most commercial risks and we provide Risk Management advice with an intensive claims support. The growth of our business has also seen an increase in our qualified staff and our team currently totals eight senior people. A. Hann Insurance Brokers Pty Limited will be responsible for the advice provided to you by our representatives. Our representatives are all competent, experienced professionals, are salaried employees of Hann Insurance Brokers Pty Limited and do not receive any commission. We will always work with you to obtain cover appropriate for your needs and circumstances. Hann Insurance Brokers Pty Limited can arrange for the issue, variation and cancellation of general insurance such as your home contents insurance or motor vehicle insurance. - New business insurance – You should contact us to obtain insurance cover for a risk, property or asset that is not currently insured. - Renewals – We can ensure continuity of insurance cover or arrange temporary cover. - Endorsements or Variations – If your circumstances change, we can assist you to review the adequacy of your cover or vary your insurance. - Claims – We can assist and advise you in the initial management of your claim and liaise with the insurer on your behalf. The financial product advice we provide to you may either be general, which is non specific, or personal in that it will consider your personal needs and circumstances. We try to always provide personal financial product advice to our retail clients, but if we can’t we’ll draw this to your attention. Depending on your needs and requirements, we can provide different levels of service, for example from general advice on a particular product to personal advice that considers your personal circumstances and objectives. In order to be able to provide you with recommendations that are appropriate to your personal needs and circumstances, we’ll need you to provide us current information about your situation, your objectives and other relevant matters. We’ll also need you to fully disclose information about the risks to be insured. For example, when we place insurance for you, we obtain from your insurer a percentage of the premium you pay. This is generally in the range of between 0% and 27%. We may also charge a broker fee, which will vary depending upon the services rendered. The specific amount of the commission and fee will be disclosed in the Statement of Advice, where applicable or on request. The commission rate does not represent our profit margin as it also reimburses us for our administrative and other expenses we incur in providing our services. We may also receive non monetary benefits from insurers such as golf days, lunches, dinners and the like. Q: Do we have any relationships or associations with the insurers who issue the insurance policies or any other material relationships? A. Hann Insurance Brokers Pty Limited is a shareholder of Steadfast Group Limited (Steadfast). Steadfast has exclusive arrangements with some, but not all insurers under which Steadfast will receive between 0.5% - 2% commission for each product arranged by us with those insurers. These payments are used to operate Steadfast. Depending on the operating costs of Steadfast (including the costs of member services provided by Steadfast to us and other Steadfast shareholders) and the amount of total business we place with the participating insurers in any financial year, we may receive a proportion of that commission at the end each financial year. You can obtain a copy of the Steadfast Group FSG at www.steadfast.com.au. We can also assist you to obtain finance to enable you to pay your premium(s) by instalments. We can arrange premium funding on your behalf or refer you to a premium funder. Please be aware that premium funders do charge you interest for the service. You should also understand that we may receive a benefit from the funder for arranging the finance. The commissions we receive from premium funders range between zero and two percent and we will provide you with further information about such remuneration, on request. A. To properly consider your insurance needs and objectives, and to deliver recommendations which are designed to satisfy your requirements, we will need to obtain from you key facts as to your business and personal circumstances, such as your financial needs and requirements. As professional advisers, we are committed to ensuring the privacy and security of your personal information in accordance with the principles of the Privacy Amendment (Enhancing Privacy Protection) Act 2012. Q. What can you do if you are not happy with the insurance policy provided? Q. What to do if you need to cancel your policy? A. In most cases you will be entitled to a full pro-rata premium refund (this may vary dependant upon the type of cover provided, noting that some insurance premiums are quoted as “Deposit &/or Minimum”). Unless agreed previously, our professional brokerage fees will not be refunded upon any cancellation but we will always fully refund commissions, except the commission (if any) on a Claims Experience Discount. 1. Contact us and tell us about your complaint.